Jónína Kirton is a Red River Métis/Icelandic poet. 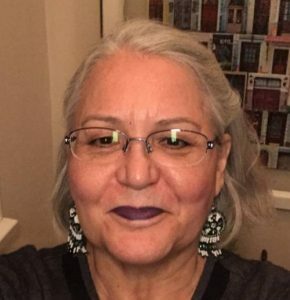 Born in Portage la Prairie, Manitoba (Treaty One) she currently lives in the unceded territory of the Musqueam, Sḵwxwú7mesh, and Tsleil-Waututh. She received the 2016 Vancouver’s Mayor’s Arts Award for an Emerging Artist in the Literary Arts category. 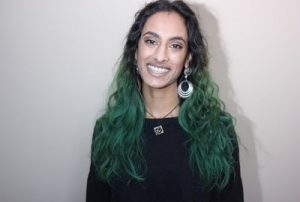 A member of Room Magazine’s Editorial board she is currently the curator of their on-line news related poetry series, Turtle Island Responds and one of the co-founders of the reading series, Indigenous Brilliance. A graduate of the SFU Writers Studio she is a longstanding member of their advisory board. Rob Taylor lives in Port Moody, BC with his wife and son. 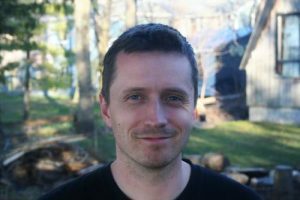 He is the author of Oh Not So Great: Poems from the Depression Project (Leaf Press, 2017), The News (Gaspereau Press, 2016) and The Other Side of Ourselves (Cormorant Books, 2011). In 2017, The News was shortlisted for the Dorothy Livesay Poetry Prize, and in 2010 the manuscript for The Other Side of Ourselves won the Alfred G. Bailey Prize. 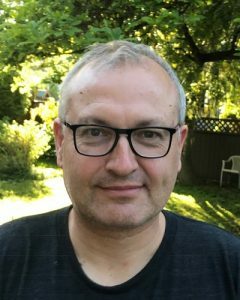 Rob is also the editor of What the Poets are Doing: Canadian Poets in Conversation (Nightwood Editions, 2018) and will be the guest editor of Best Canadian Poetry 2019 (Biblioasis, 2019). In addition to his books, Rob is the author of five poetry chapbooks, including most recently Łazienki Park (2017), Smoothing the Holy Surfaces (2012) and Lyric (2010) – all from The Alfred Gustav Press. 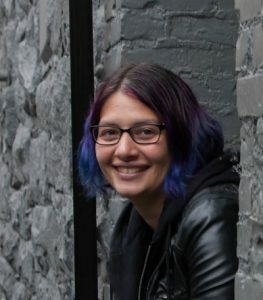 Isabella Wang is a young, emerging Chinese-Canadian writer from Vancouver, B.C. Her poetry is published in Room Magazine, The /tEmz/ Review, Train Journal, and Looseleaf Magazine. Her essays are published in carte blanche, Invisible Blog, and The New Quarterly. At 18, she is a two-time finalist and the youngest writer shortlisted for The New Quarterly’s Edna Staebler Essay Contest. She is studying English at SFU, co-ordinating the Dead Poets Reading series, volunteering as the youth advocate for the Federation of BC Writers, working with Books on the Radio, and interning at Room. Honing or establishing the unique voice of each participant through their sharing of work. Body, movement & mindfulness exercises, to remain present and ground participants. Learning the aspects of ceremony through performance from a Dene & Cree lens. Exploring the history of spoken word poetry & storytelling traditions. Holding space for participants to share their work without judgment. Recognizing the strengths of participants to build upon. Working with microphones, and the equipment available at any particular reading or performance. Participants will be required to bring at least one piece of work they’re comfortable sharing to practice these performance techniques. The smaller the group, the more time can be given to each participant. feel more comfortable in their capabilities as literary performers, whether reading narrative, spoken word poetry and other forms of oral storytelling. walk out with the toolkits to better manage emotions, expectations and constraints in performance spaces. understand and accept their identities as performers, at least while engaging with performance. Chelsea Franz, the poet is a writer, performer, arts community advocate, workshop facilitator, organizer, yoga instructor and student. She believes hope heals and wishes her words for good. People need people to remind them they’re not alone. You’re not alone. A Surrey girl, she can be found at KPU managing pulp MAG, at Slamapalooza, or with the Creative Writing Guild. Either way, she’s with beautiful creatives doing the things with the words. She encourages artists to pursue passion regardless of popular belief. She helps to bring people closer to the self and to their practice of creation. She knows love will win. 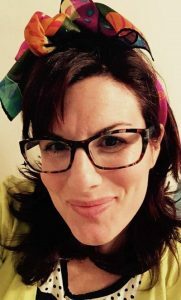 In one workshop, writers will be shown two award-winning flash fiction pieces and taught six simple yet effective flash techniques. We will examine fringe concepts and especially welcome new voices and allies from LGBTQ, enby, and disabled artists as I identify as such. We will then practice writing exercises for the Geist Postcard Fiction Contest, and one other relevant contest so that writers may write toward actual contests and submit their work. Writers will have a chance to workshop with one another, and identify techniques based on VOICES, an acrostic of writing methods I have used with several writers (Voices, Organization, Imagery, Characters/Climax/Conflicts/Excitement/Endings, Symbols/Sensory energy). I believe that writers need real life publication goals, no matter at what stage. This is motivating for writers, and gives the push necessary to keep up the momentum at home, whether in the Flash, longer short stories, or novel forms. 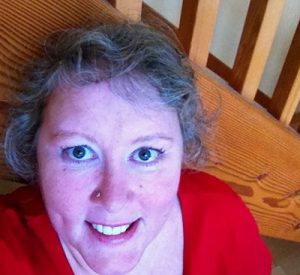 Cathleen With is a Vancouver writer and creative writing instructor at KPU. Her novel, Having Faith in the Polar Girls’ Prison, was a BC Book Prize winner. skids, a book of short fiction, was a Relit finalist and is optioned for film. She was proud to be in the anthology: V6A: Writings from the Downtown Eastside Eds: Asfour, Kraljii Gardiner, which was a finalist for The City of Vancouver prize. Most Indigenous storytelling traditions share a familiar narrative about certain archetypal beings bringing the world into existence. These creation stories were passed on from generation to generation for eons, uninterrupted, until contact with Western societies. From that point onwards, the deprioritization of oral history in favour of written accounts continued to our modern era, creating gaps in the transfer of Indigenous knowledge. This group workshop seeks to begin bridging the gap between contemporary human and ancient knowledge through a variety of methods, including mask work, movement, and silence. These exercises aim to reconnect us with the rich history of archetypal beings and breathe new life into oral traditions. By refamiliarizing us with these practices, the group workshop will underline the importance of keeping storytelling alive, and reconcile it with our modern way of life, proving that the old and the new are not incompatible. This is an opportunity to pay recognition and respect to the beautiful beings whose life forces continue to exist deep inside of us, and whose actions continue to shape and create the world we live in today. Finally, to make sure we keep things insightful, profound, memorable and just simply weird. This workshop is a celebration of these archetypal beings – in a way that is rarely seen, by providing us with the opportunity to experience them in their fullest form. How can this be done, you ask? By inviting them out into the open to play; be spoken to; and, oh yeah…and, to have them answer you back! Develop a new process of understanding: relationship and disposition between story, spirit, and ego. Hold space, creating movement, and explore the idea of self – from a third-person point of view. Navigating the blurry lines between spiritual connection and social-cognitive processing. Harnessing the power of narrative and storytelling for social impact, generation after generation. 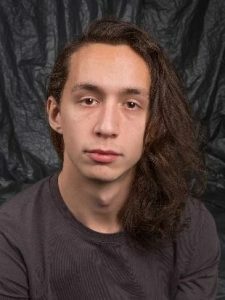 Tekatsi’tsaneken Everstz is a proud member of the Bear Clan – hailing from the Kanien’kehaka Mohawk Nation Territory of Kahnawake. Grounded in the Haudenosaunee principle of reciprocity, mutuality, and interdependence – Everstz bring over 20 years of experience in cross-cultural knowledge transfer and expressive arts facilitation when holding space for transformational learning. Building on the “Leadership Through the Arts” theory, Everstz has cultivated a wide variety of familiar and unconventional mediums or techniques within his art – with the intention to evoke, invoke and provoke notions of curiosity, imagination, and creativity. Providing a space to explore, learn, and understand different applications of artistic method, processes, means of expression – and their influence on the social-cognitive influences of others. In this guided mindfulness exploration, Cynthia takes poets through an interactive experience of taste, touch, smell, sight and sound, with each participant crafting a unique sensory experience into poems that she helps polish. Participants interact with elements from the rainforest, ocean and prairies to create imagery and rhythms, their personal blend of nature, self and beyond. By listening to the stories of pinecones, rain sticks, shells, sand dollars, sweetgrass, flowers, moss, salt crystals and gems, along with sampling simple foods and inhaling the scents of essential oils, participants give voice to their own inner light through poetic imagery. The workshop begins with the facilitator reading briefly from her own work, moves to a group brainstorm about poetry, dives into sensory experiences and the creation of imagery which is turned into poems, transitions to helpful editing techniques to strengthen diction and tighten flow, then ends with each person who wishes to reading to the group. Ideal for beginner to intermediate level writers. Cynthia has run variations of this workshop for groups as small as two people and as large as twenty in a variety of contexts, both independently and on behalf of the Federation of BC Writers, in her home city of Vancouver and in places like Port Alberni where she has been featured to read, as well as to adult, high school and middle school language arts and ESL classes, and in healing fairs in community centres and art galleries. Cynthia Sharp is the author of the poetry collection Rainforest in Russet, which quickly became a Canadian bestseller, and the editor of Poetic Portions, an anthology of recipes and poems honouring Earth Day. 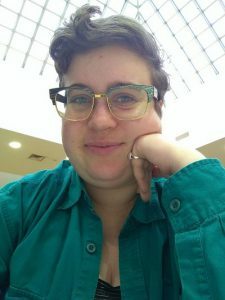 She’s been published and broadcast internationally in journals such as CV2, untethered and Lantern Magazine, among others, and nominated for the Pushcart Prize & Best of the Net Anthology. 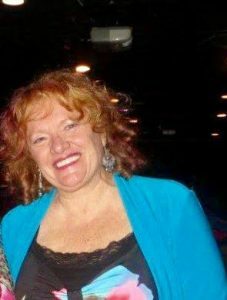 She is a full member of The League of Canadian Poets and on the executive of The Federation of BC Writers board of directors. She enjoys taking part in diverse literary events through Canada and the world. 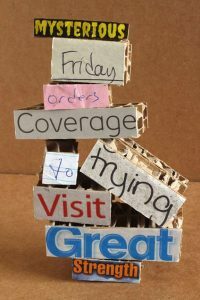 Participate in a collaborative and ever-evolving poetry sculpture. As New Westminster’s Solid Waste and Recycling Artist in Residence, Molly Marineau has created building blocks for this participatory sculpture from words found all over the city. Come build a phrase or poem from these found-words, or donate some of your own found-words to the project. Use #nwcitypoetry to share your work or see what others have created online. This event is free and open to people of all ages. The answer to the question is that many seek constructive feedback from their peers. 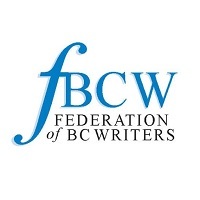 New West Writers Group offers an opportunity to hear members talk on the value of joining a writing community, and to observe a critique session. Bring along your own work or simply listen. But most of all, you will get a chance to discover if a writing group will work for you. *New West Writers* hold a critique session on the third Saturday of the month from 10:30 am in The Gallery at Queens Park. All writing is welcome – poetry, novels, short stories, creative non-fiction, and children’s stories. For more information, visit the website: https://newwestwriters.com. Join the New Westminster Secondary School Writing Club for a Slam Poetry reading in the back room of Old Crow Coffee Co. The NWSS Creative Writing Club aims to be a creative, co-operative team for students to share and create poems, short stories, and other types of writing. We will organize writing prompts, performance opportunities, and a “zine” for our writing. Join the Authors of the Wylde Wood Collective, known fondly as The Wylde Wooders, as they showcase their writings for LitFest New West at the Community Square in River Market. The Wylde Wood Collective is a treasure trove of like-minded artists specializing in fantasy, steampunk, fae, gothic and historic themes with a general smattering of the left of centre. There will be readings and the authors will be available to discuss their works. You can purchase books and have them personalized. 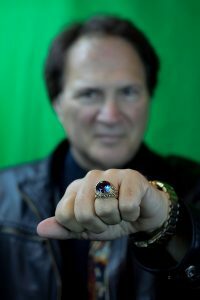 The incomparable Lon Mandrake will also perform magic for the audience! Speculative Fiction author, dvsduncan (pronounced “devious duncan”), was born in Vancouver, British Columbia, and now lives in New Westminster with his wife and a rather generously proportioned cat. He holds degrees in English and Landscape Architecture but it is life that has taught him the most. His stories are all true, though not factual. Make of that what you will. 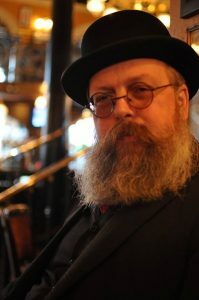 JM Landels, writer and illustrator of the Allaigna’s Song trilogy and co-founder of Pulp Literature Press wears far too many hats. The strange mix of a degree in Mediaeval English Literature, a misspent youth fronting alternative punk bands Mad Seraphim and Stiff Bunnies, and a career as a childbirth educator and doula informs her work. 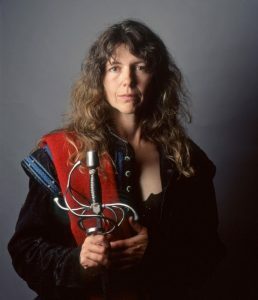 These days, when she isn’t writing, editing or drawing, she can be found heading up the Mounted Combat Program for Academie Duello in Langley BC where she swings swords and rides horses for fun and profit. 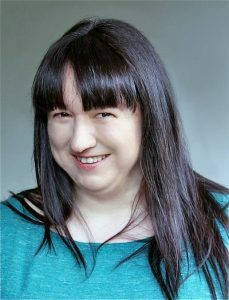 Tanya Lisle is a novelist from Metro Vancouver, British Columbia who has series littered across genres from supernatural horror to young adult fantasy. 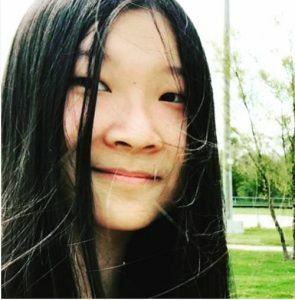 She began writing in elementary school, when she started turning homework assignments into short stories and continued this trend well into university. 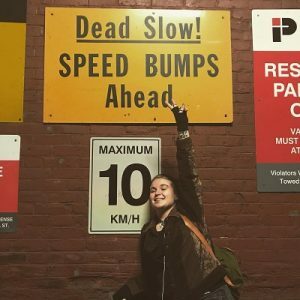 While attending Simon Fraser University, she developed an appreciation for public domain crossovers and cross-platform narratives. She has a shelf full of notebooks with more story ideas than pens lost to the depths of her bag. Now she writes incessantly in hopes of finishing all of them. Thankfully, her cat, Remy, has figured out how to shut off Tanya’s computer when she needs to take a break. Linda Redden, originally from Chester, Nova Scotia, met her husband, Lon Mandrake, at the University of British Columbia. They married, both had careers as high school teachers in the Vancouver area, and raised three children. Lon had fascinating stories of life on the road with his father, Mandrake the Magician, and family. Linda liked to write. So finally they collaborated on this look behind the scenes in the life of Mandrake the Magician. Lon Mandrake is president of the Society of American Magicians #95 and achieved the Order of Merlin in the International Brotherhood of Magicians. Lon and Linda have performed as mentalists twice at the Magic Castle in Hollywood, yearly at Science World in Vancouver and for corporations and private parties for over 30 years. 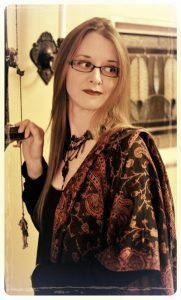 TobyAnne Stanley is the author of “FAYE – The Art Of Melissa Mary Duncan”, an Aurora nominated coffee table book, and co-author of “The MMDuncan 2019 Faerie Annual”, currently in progress. Also the proprietor of Old World Artists & Events, TobyAnne is an artist whisperer who does marketing, event production, and more for The Wylde Wood Collective in New Westminster, BC. When not working, she bides much of her time with her loving cohort, William T. Stanley. They can often be found fleshing out unusual projects, having fun with their wee folk, or beautifying the otherworld that is their home. Alan will be launching, and reading from, his new book ‘We Came from Water’. This book explores three central areas of the human experience; what it means to lose a parent, what it means to be in a long-term relationship and what it means to love a city, in this case the City of New Westminster with its complex colonial history. These themes are woven into an exploration of place, space, and the nature of love, commitment and community, that although deeply personal, will universally resonate. 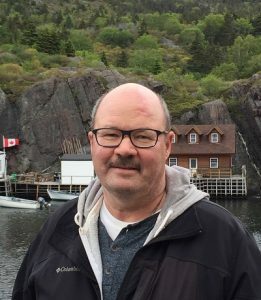 “Alan Hill brings his bleak wit and deep capacity for love to focus upon three loved ones: his father, his city, his wife. This poetry features richly accumulating imagery, sudden changes in direction, and keen insights”. “These poems by Alan Hill have a vivid physicality and energy. With insight and humour each wry and acutely observed details creates new understanding of conflicted masculinity, attachment to family and place, and what it is to love”. 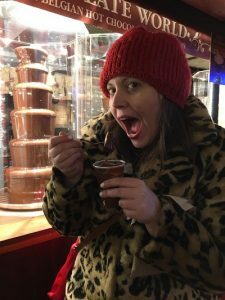 Bio: Brooke Takhar is a writer, pop culture obsessive, Mom, fledgling stand-up comic and professional worrier. She records her parenting failures on missteenussr.com. Bio: Baisley is retired after working over 35 years in social services. He is venturing out as a Standup Comedian and Storyteller and has been seen at LaughterZone 101 showcases. Weekly Story Telling on Commercial Drive, The Anvil Centre and Century House in New Westminster. Katrina Bennett tells it like it is and then some. 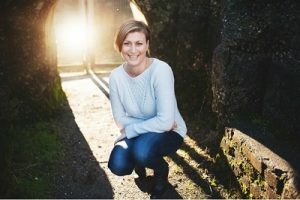 She is accomplished storyteller and stand up comic that shares her brutally honest commentary on battling cancer, divorce, parenting and (lack of) love life. She is Currently working on her solo Fringe show “Life in 3D”. Centring the lived experiences and thoughts of self-identified disabled and chronically & mentally ill people, join us in sparking reflection regarding grief and loss as they relate to our need for access intimacy. Learn to seek interdependence, community, and the simultaneous pain and richness that accompanies illness and disability. With the intention of starting conversations seldom had elsewhere in artistic communities, performance artists Frankie and Q will share insights into lived experiences and disabled knowledge, interspersed with personal writing. Leave with language and skills to bring to your relationships, literary communities and beyond. 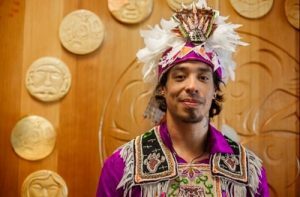 Living on unceded Musqueam, Squamish, and Tsleil-Waututh land, Q is a performing artist and workshop facilitator focusing on Disability culture and radical vulnerability. They have opened for The Body Is Not An Apology, collaborated with East Van Opera and CircusWest, and conducted workshops for the PuSh Festival and WAVAW volunteers. 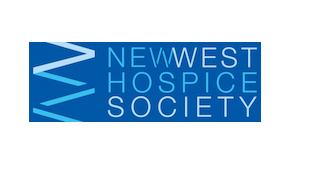 Location: The Heritage Grill, 447 Columbia St, New West Time: 2:00pm – 4:00pm Free admission. Featuring Eileen Kernaghan. Feature Poet, Open Mic. Prizes, trivia, writing prompt, fun!